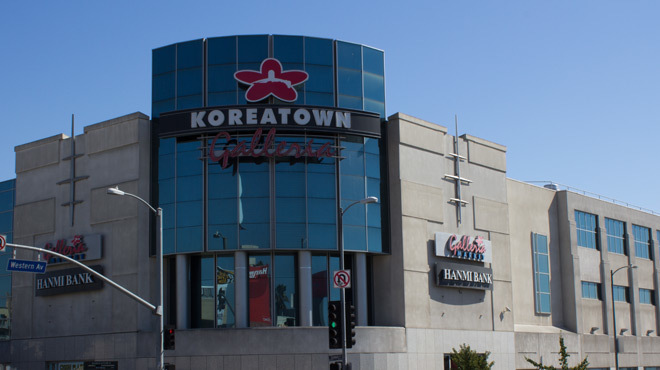 Koreatown is the antithesis of L.A.’s lamest qualities: It’s a (relatively) vertical, transit-connected city center that buzzes at all hours. 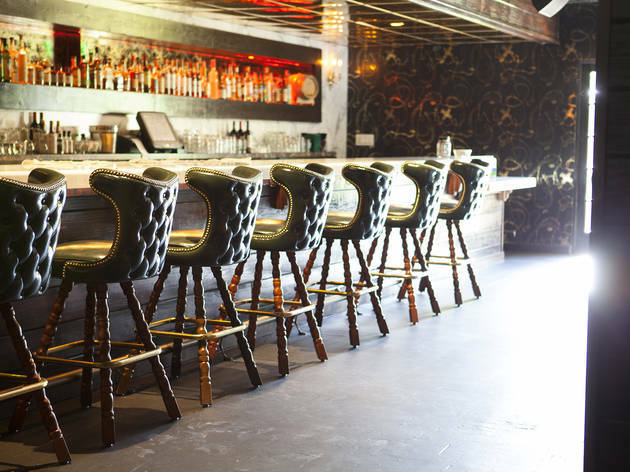 Old-school mom-and-pop spots sit next to new-school cocktail bars in an area whose mixed demographic of Korean and Latino communities co-mingle with young professionals and cool-hunters from all over the city. 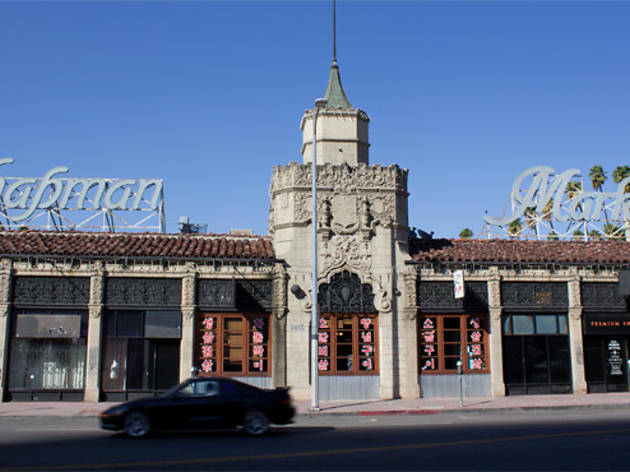 Most of Koreatown’s destinations are contained within Western and Vermont Avenues and Beverly and Olympic Boulevards, with shops, bars and eateries that radiate out in all directions. 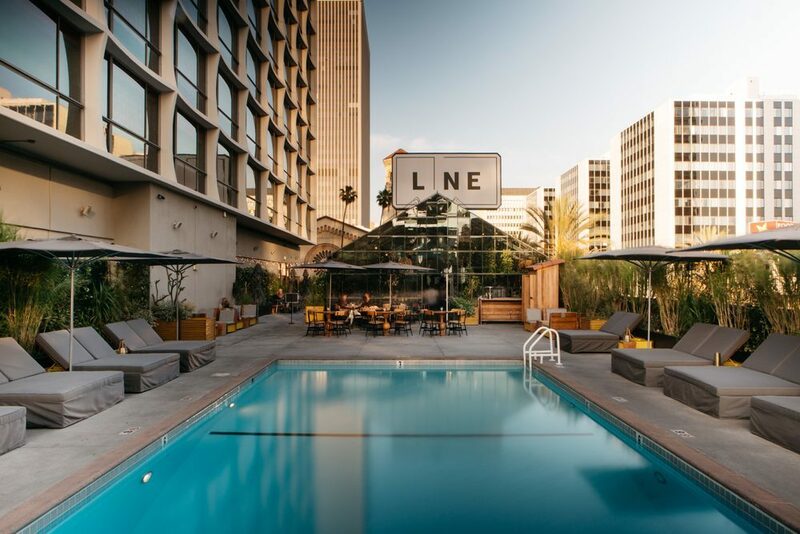 You’ll find a dense cluster of activity near the three Metro Purple Line stops on Wilshire Boulevard, as well as a walkable row of restaurants just north on 6th Street. The rest of the area’s eateries are dotted along Western and Vermont—just keep in mind that parking is often pretty tight. 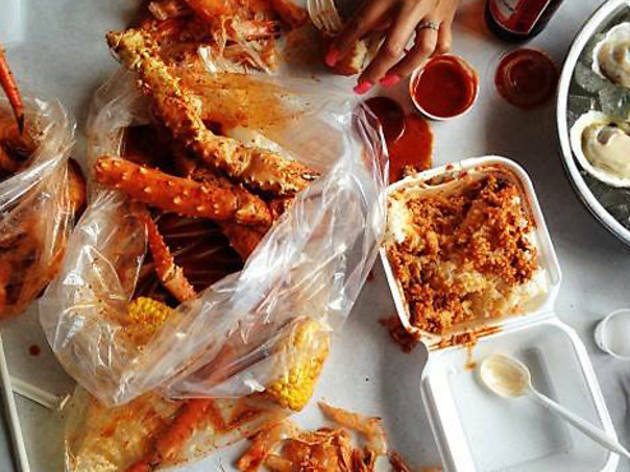 You can find some of the city’s best one-bowl meals and group dining destinations, not to mention late-night eats, bars and enough things to do to occupy night owls and the city’s hungry and hedonistic. 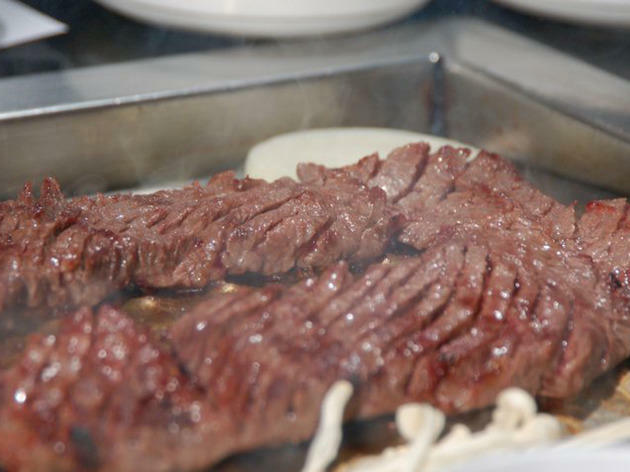 Next time you’re craving Korean BBQ, don’t just eat and leave: Get to know vibrant Koreatown with our guide. 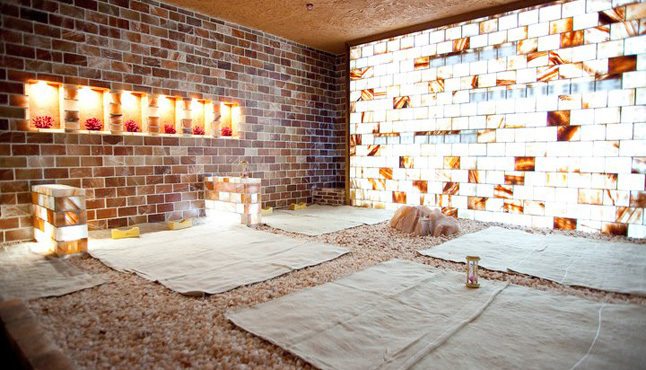 There are Korean saunas, and then there’s Wi. 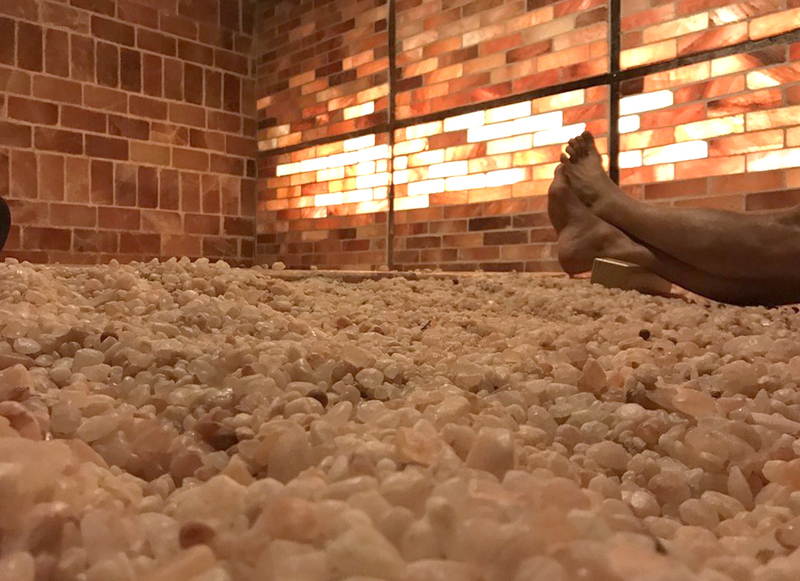 The 24-hour mega spa is the Disneyland of Koreatown saunas—families and children included, to the lament of those looking for a relaxing experience—complete with treatment rooms, five different heated rooms, hot tubs, dry and steam saunas, TV lounge area, restaurant, library and sleeping rooms. 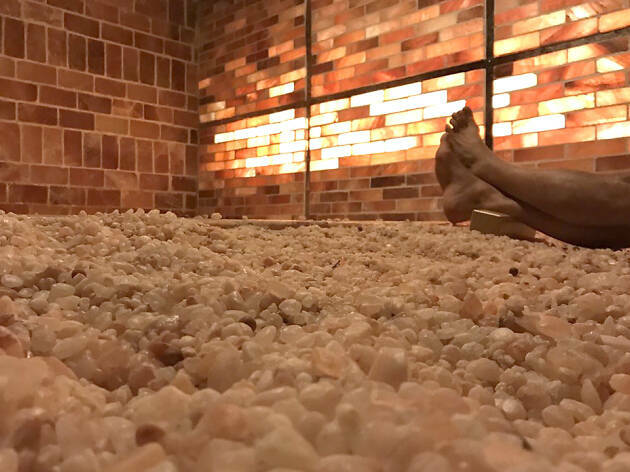 Couples and groups laze (and sweat) in the co-ed jimjilbang—the dress code is oversized T-shirts and khaki shorts—before heading into separate men and women’s areas where clothing is not allowed and a body scrub is a must do for baby soft skin. 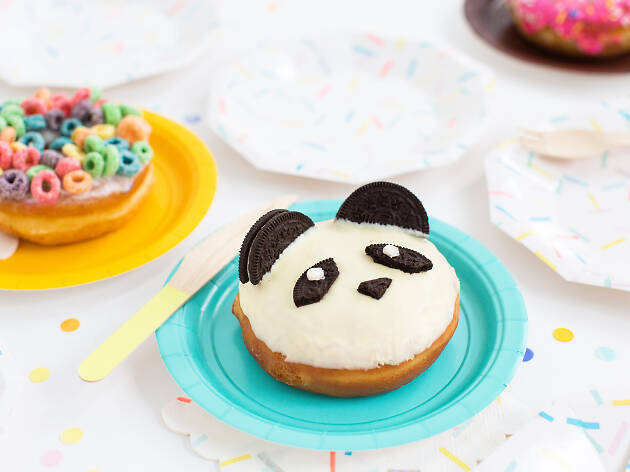 While California Donuts isn’t necessarily worth a pilgrimage to find the city’s best doughnut, it is when you’re in search of an adorable panda-themed pastry at two in the morning. 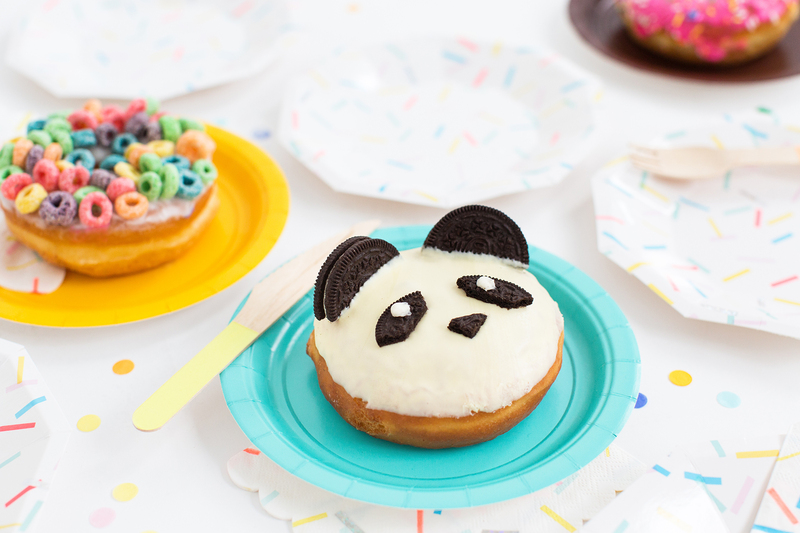 Yes, this 24-hour K-town institution bakes highly Instagrammable cereal-and-frosting–topped doughnuts all hours of the night. There are probably more karaoke bars than open parking spaces in Koreatown, so the challenge lies in choosing one rather than finding one. 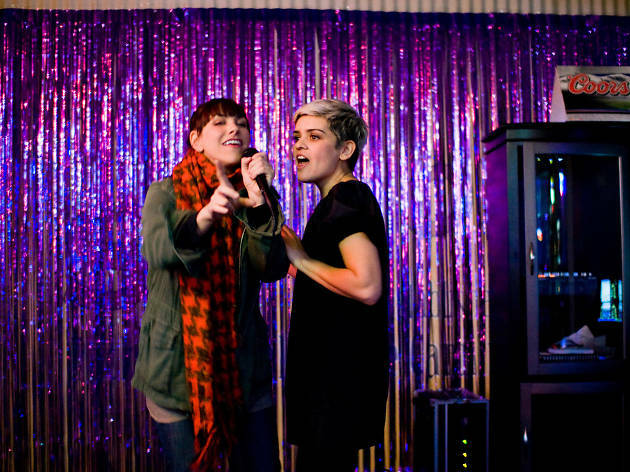 For a lively bar that happens to have karaoke, try R Bar, a speakeasy dive with karaoke nights, and Cafe Brass Monkey, a weekend go-to spot with the occasional celebrity drop-in. 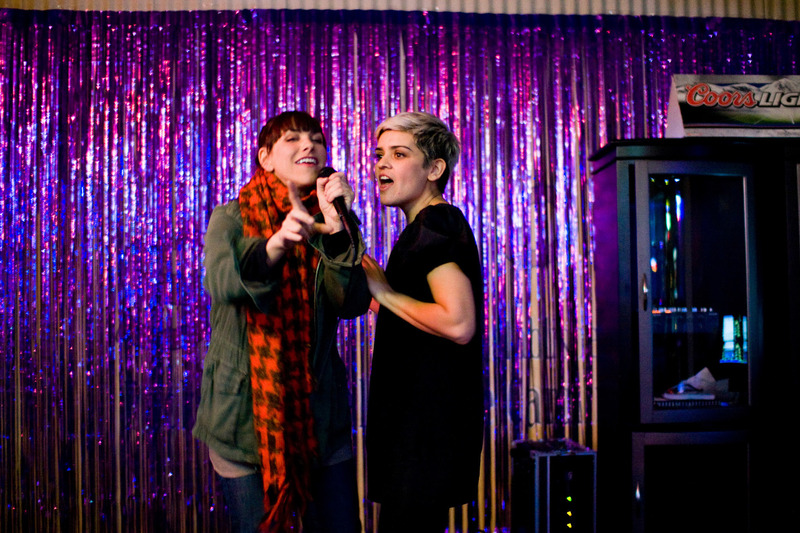 But if you’re specifically looking to sing your heart out, head to Soopsok for a variety of decked out rooms that won’t break the bank. Of course, the group you’re with—and maybe a bit of booze—is really the only essential ingredient for a good time, so hit up Young Dong Nohrehbang if cheap fun is your main priority. A small, rocky patch off of Olympic might not scream “garden,” but this parklet provides a reflective space just far enough removed from the street traffic. In one corner of the space, Da Wool Jung, the richly painted pinewood pavilion, shades picnickers and bookworms alike. 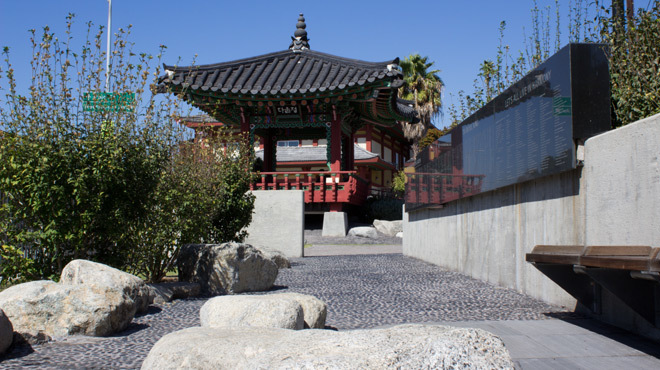 The park has historical significance, too, as the site sits just across the street from the area’s first Korean grocery store, which opened its doors in the 1960s. 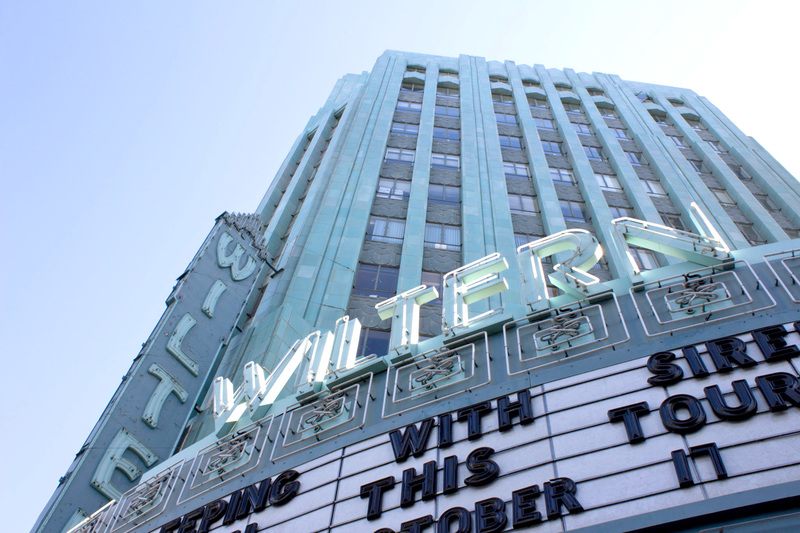 The Pellissier Building’s blue-green Art Deco tower stands as enough of a landmark in itself. 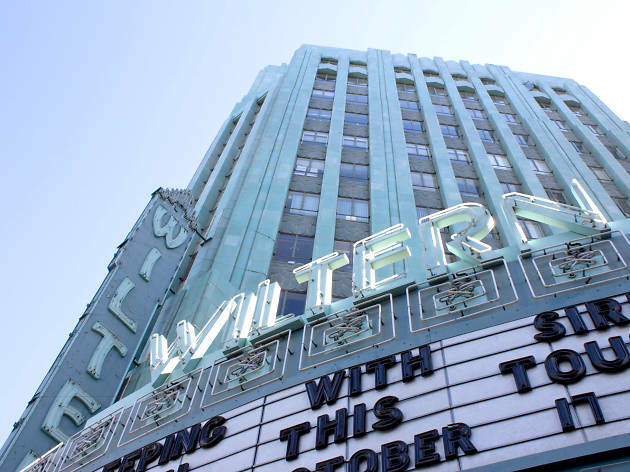 But it’s the inside, the 1931 Wiltern Theatre, that packs ’em in for a mix of film screenings, comedy and theater-filling music acts. Concerts are seated or standing-room-only (sight lines are so-so on much of the floor), depending on the act. 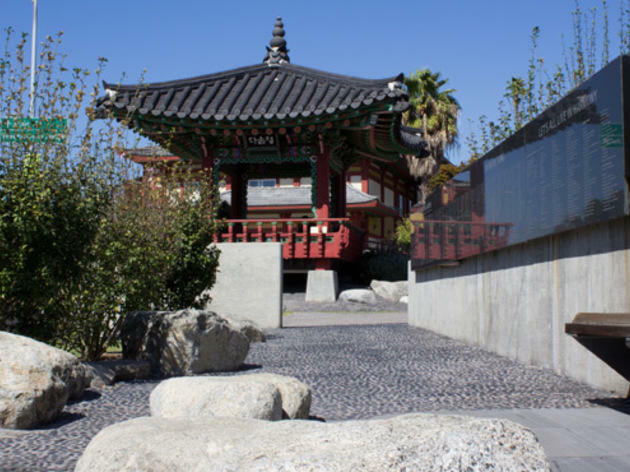 Angelenos may be divided on their favorite Korean barbecue spot in this city, but Park’s seems to be the one unifying constant. 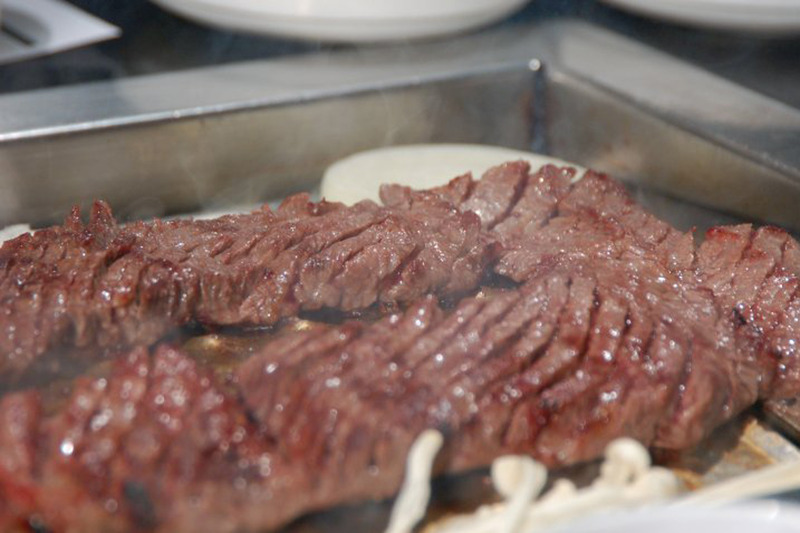 The incredibly high quality of the meat and the tried-and-true flavors always hit the spot. 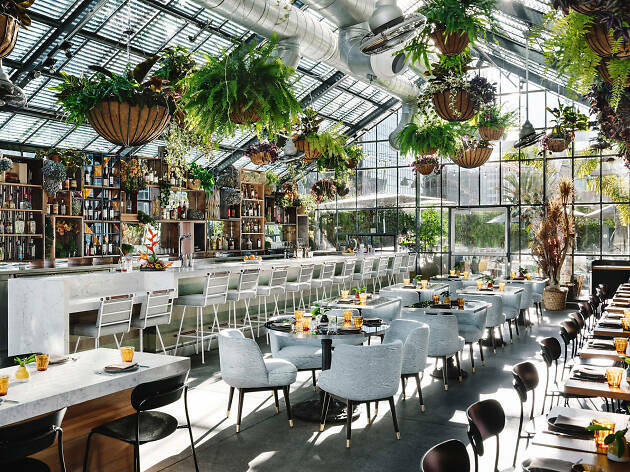 The vibe is more upscale with bright, modern furnishings, and lines are never too bad, thanks to that sprawling bi-level dining room. 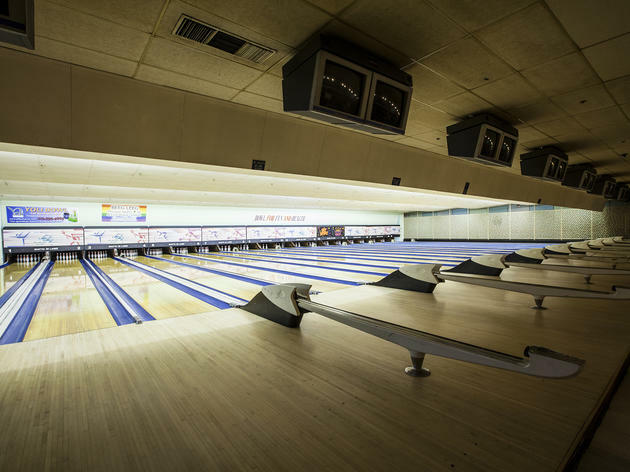 Standing strong since 1954, Shatto 39 Lanes boasts (surprise!) 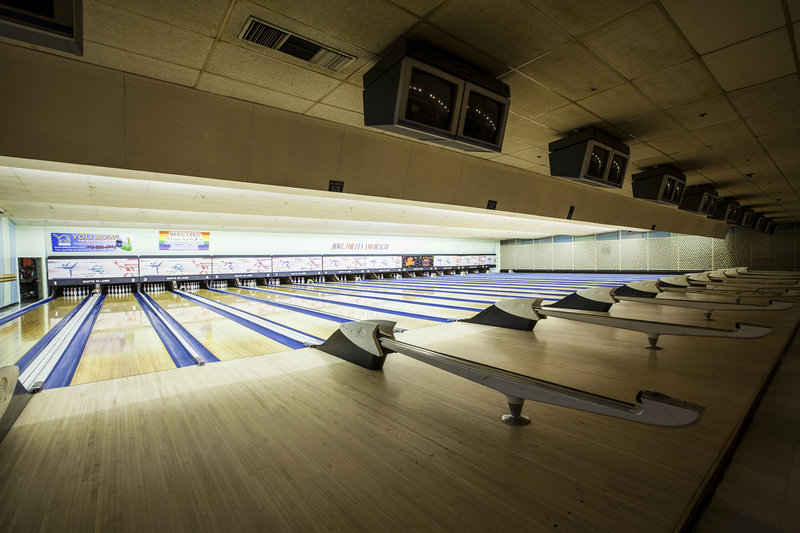 39 lanes complete with a roundabout bar, coffee shop, arcade and billiards room. Pre-game at the bar with $6 cocktails, then graduate to a round of in-house bevvies. In between celebratory strikes, refuel with salty snacks like heat lamp–ready (and heartburn-guaranteed) nachos. 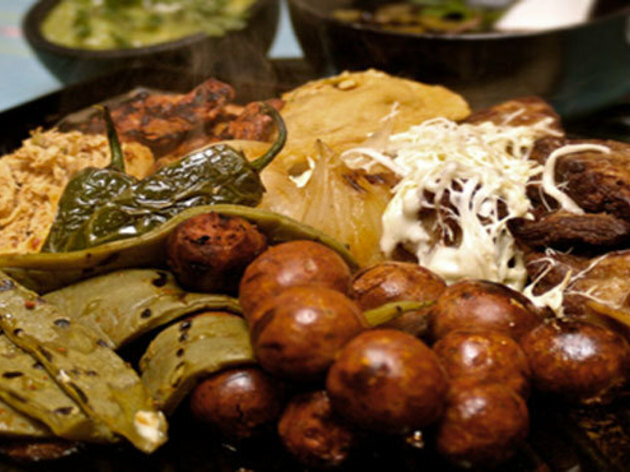 The guelaguetza is an Oaxacan dance; its use as the name of this restaurant serves as a reminder that the food served here differs from classic Mexican. 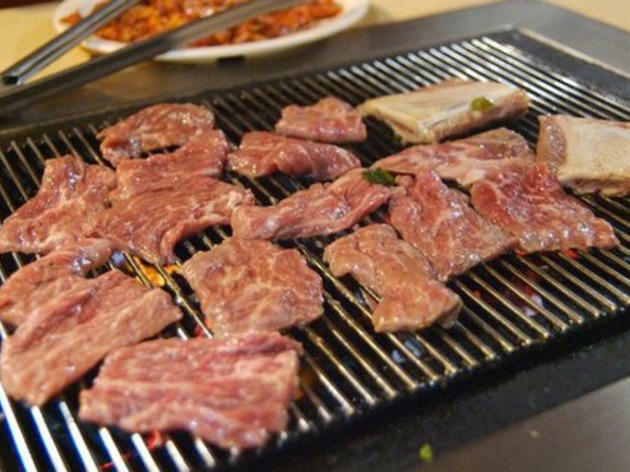 The speciality is meat (chicken, beef or pork) served with richly fragrant and spicy sauces called moles, which use fresh-ground herbs and chocolate to create a depth of flavor. 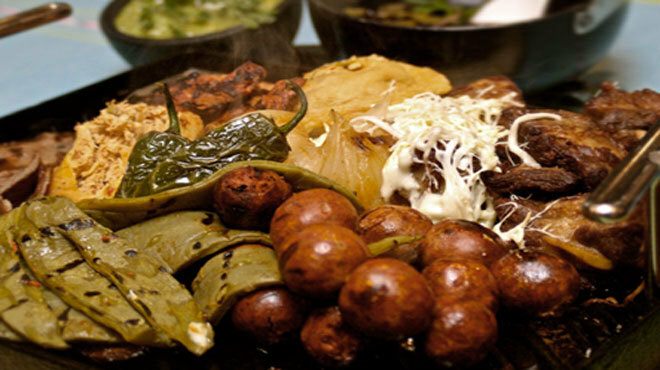 Try the seafood stew or a tlayuda, a pizza-like corn-cake, with a fresh juice. 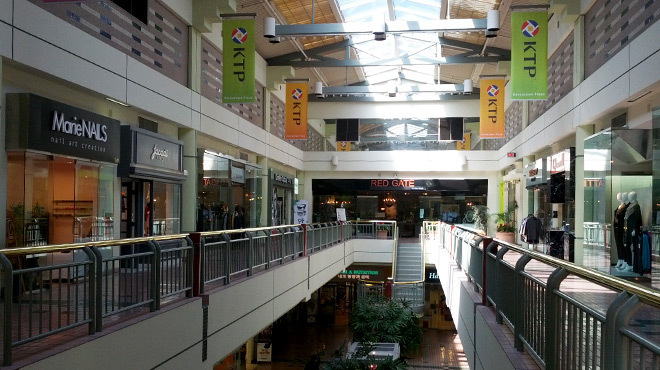 Koreatown Plaza comes closest to a centralized, family-friendly shopping district, albeit trapped inside of a distinctively ’80s mall—the first shopping center of its kind in the area. The globally branded stores and food court counters (Pao Jao Dumpling House serves up some of the best dumplings in L.A.) reflect the overall experience: an old-school American mall with Korean flair. 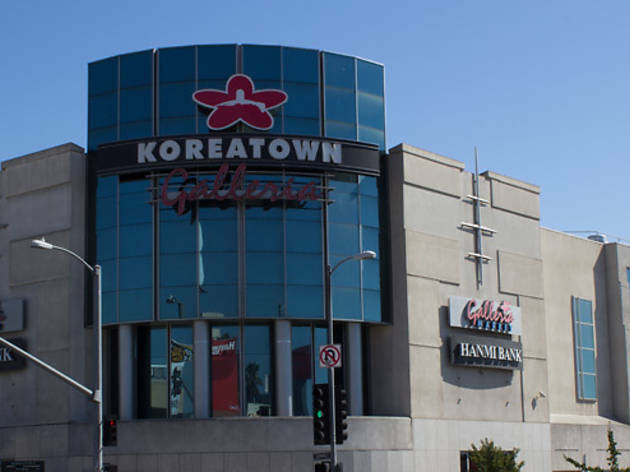 Koreatown Galleria’s astoundingly huge bottom floor supermarket is a grocery marvel, whether you need to stock up on Korean kitchen staples or you simply want to scope out an entire wall of kimchi. 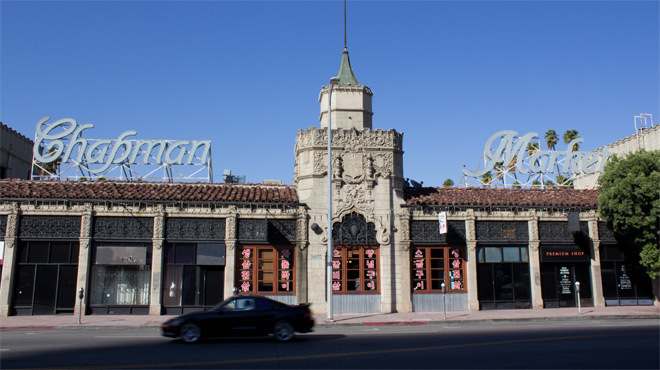 Koreatown’s full of architectural diversity as glass towers and stumpy stucco buildings meet French chateau-inspired apartments and Art Deco high rises, yet Chapman Market’s Spanish Revival castle-like exterior (which dates back to 1929, when it opened as a luxury grocery store) still comes as a surprise. 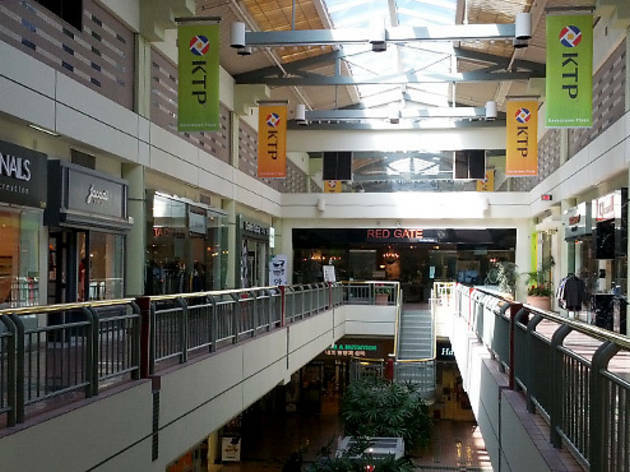 The block exudes charm as you stroll past its streetside cafes and boutiques and into the central courtyard of handsome bars and restaurants. 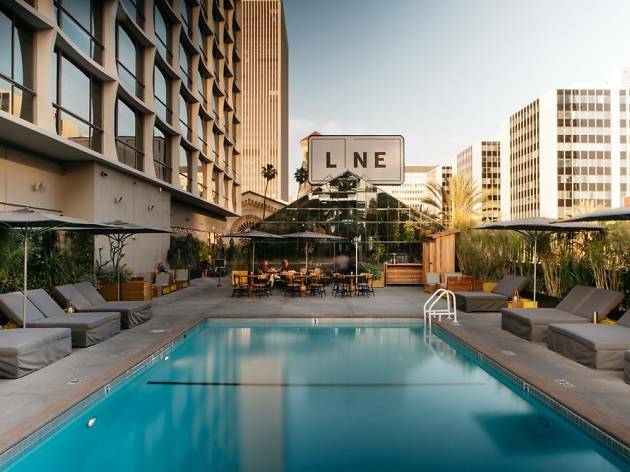 For those who place a priority on edgy design and a sense of communality, the sought-after LINE LA makes a fine landing spot. 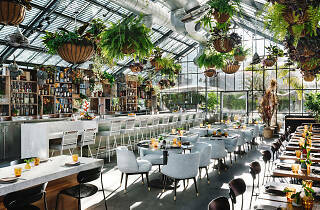 Between the pool, always-packed Openaire greenhouse restaurant, an outpost of design boutqiue Poketo and quirky art objects on display, this hotel lets its personality do the talking. 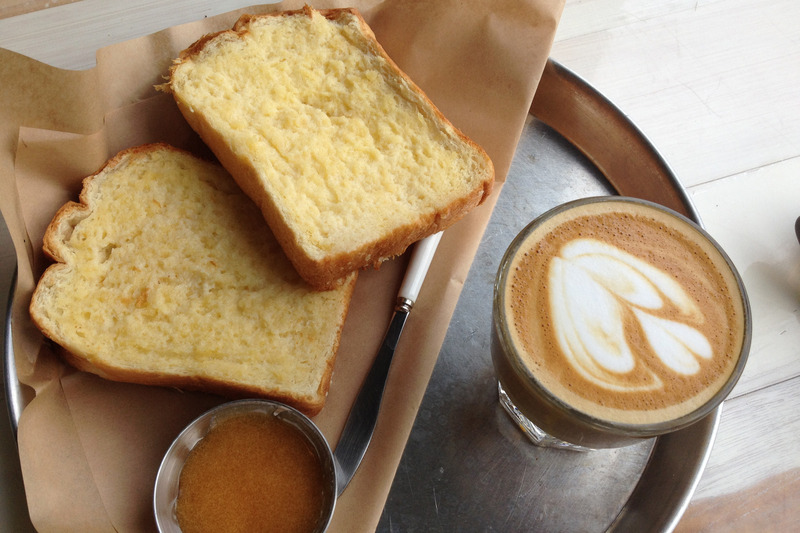 Ready, set, sweat. 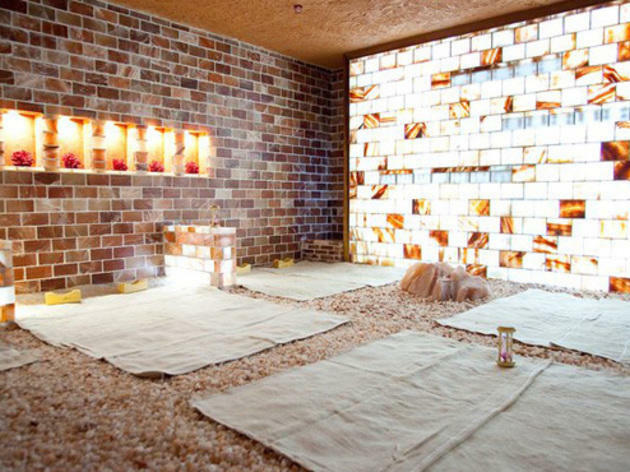 Check out the top Korean spas that Koreatown has to offer. 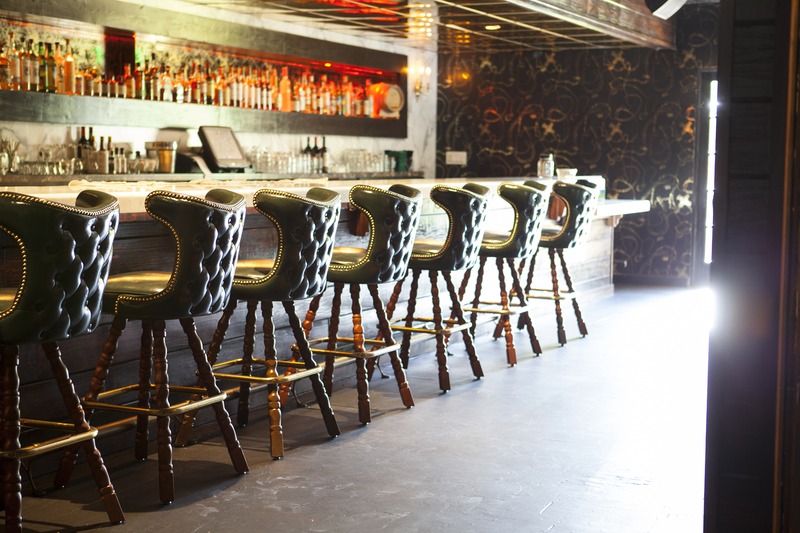 Keep the good times rolling at the hood’s top watering holes. 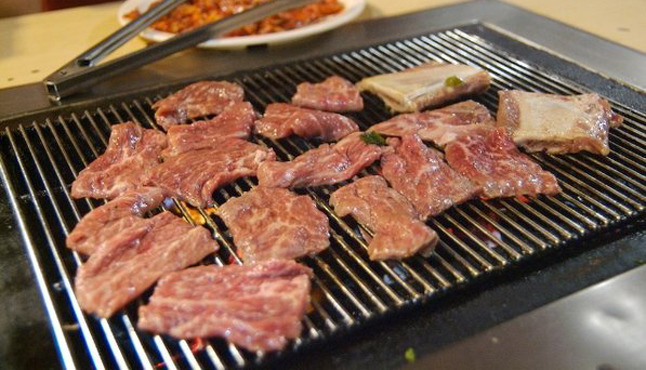 Our guide to L.A.’s best places for grill-it-yourself meats. 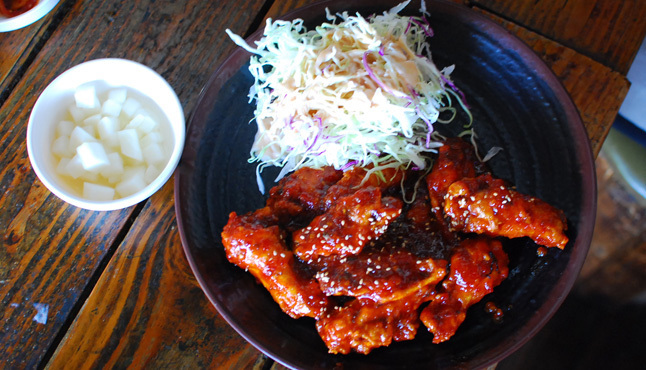 Check out these Koreatown restaurants and bars serving up the best of the other KFC. Party of six (or more)? 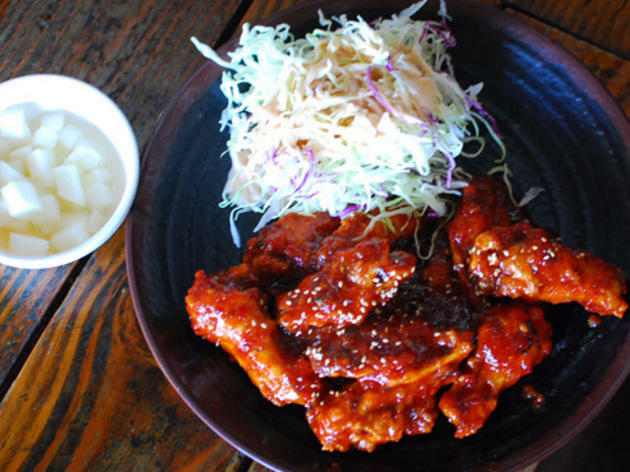 Koreatown is a perfect destination for dinner with friends. 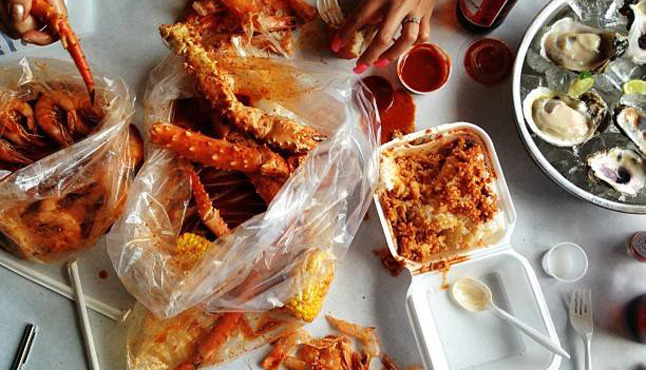 There’s more to K-town than Korean BBQ. 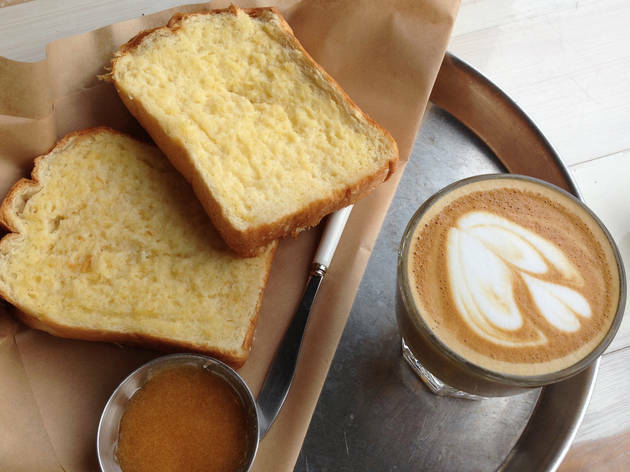 Find the best cafes and dessert destinations.